Holmes Real Estate Services Inc. is a small Canadian owner operated brokerage, established in 1992. Michele and Jim Holmes have been licensed since the early 1980's and have over 3 decades real estate experience in the Golden Triangle. Our emphasis is on professional, quality service and results! Our name counts on it. We care! Clients are our first priority! The majority of our business comes from long-lasting relationships earned from clients who trust our honest, caring attitude, and refer us to friends and relatives. Thinking of selling? We can analyze the value of your property for the current market, assist you in preparing for sale and market your property just as effectively as a large company with many agents and/or teams. Let us show you how. Thinking of buying? We can prepare a search for you based on our discussions with you, that will continuously search the data base for properties that match your requirements and will email them directly to you as they become available. We can go out and look at the ones that interest you. Jim is very knowledgeable with regards to construction and can help you evaluate the quality and condition of different buildings. Large companies and teams can have you dealing with many different people. With us, you will always have the benefit of working with just Michele or Jim. We don’t just sell real estate. We build relationships with our clients to help them achieve their goals. Let us show you how you can benefit from our personalized service. We are experienced negotiators and have had a high level of success in helping our clients achieve their goals. We are licensed to trade in real estate anywhere in the Province of Ontario. We are based in Cambridge and are familiar with the local markets surrounding us from Guelph to Kitchener-Waterloo and south to Brantford. Are you looking for homes for sale in Cambridge, Ontario? Do you need a good realtor? 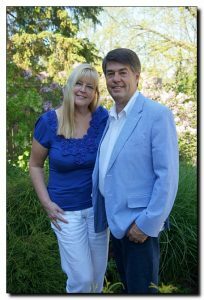 Michele and Jim Holmes have been real estate agents selling real estate in the Cambridge ON and Waterloo ON region since 1983. Our properties for sale include rural properties, residential homes, and condos for sale Cambridge, Ontario. If you are looking for a house for sale, condo for sale or country home for sale, we can help you. When there are many homes for sale, we can help you choose the right properties to view. Are you looking for houses in Cambridge Ontario? Would you like to put your house up for sale? Need a professional Real Estate Agent to handle your property sale in Cambridge ON? If you answered yes to any of these questions then you need to talk to us. For a realtor in Cambridge, Ontario and surrounding area, Call Michele and Jim Holmes, professional real estate brokers at Holmes Real Estate Services Inc., located in Cambridge, Ontario. We are going to work day and night to help you find the right real estate, whether that's homes for sale or condos for sale in Cambridge, ON, we will find the perfect place for you and your family. We don't just sell houses in Cambridge Ontario, we sell homes. Copyright © 2019 Holmes Real Estate Services Inc. All Rights Reserved.